Bamnipal Steel Ltd (BNPL), a wholly-owned subsidiary of Tata Steel, had recently in May, 2018 completed sucessfull acquisition of controlling stake of 72.65 per cent in Bhushan Steel Ltd (BSL). After completion of takeover formalities Bhushan Steel has been renamed as Tata Steel BSL Ltd following an approval from the Centre for the change in its name, the steelmaker said. “Bhushan Steel Ltd has received approval from the Central Government for change in name to Tata Steel BSL Ltd on November 27, 2018, and a ‘certificate of incorporation pursuant to change of name’ … has been issued by the office of the registrar of companies, New Delhi in this regard,” the company said in a filing to BSE. 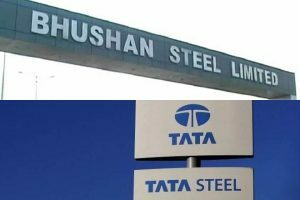 Tata Steel announced recently in a press release that it will operate out of the Sahibabad facility of Bhushan Steel, which it has taken over under the insolvency resolution process, as it does not want to retain the office of the debt-laden firm in the national capital. “We will be operating out of the Sahibabad facility. There is an existing Bhushan Steel facility which has enough space so we don’t need the office (in Delhi),” he said. Earlier, Tata Steel had won the bid to acquire debt-laden Bhushan Steel in an insolvency auction. The bankrupt firm was among the 12 stressed assets referred to the National Company Law Tribunal (NCLT) proceedings by the Reserve Bank of India last year.